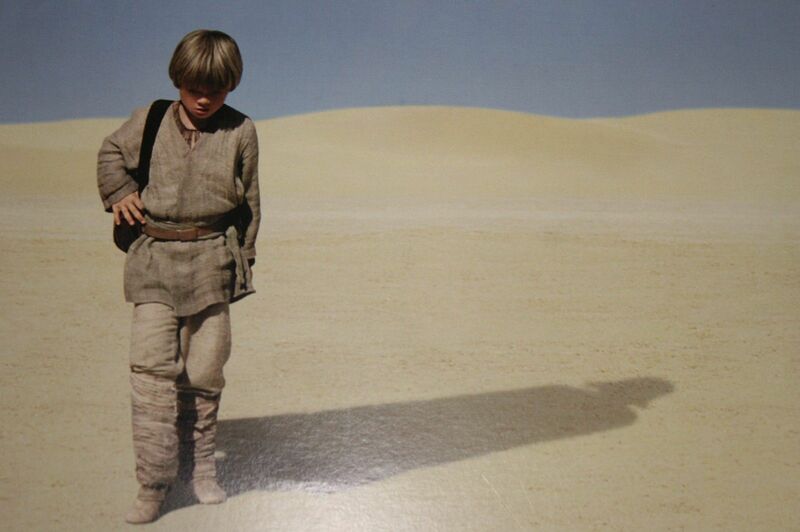 Fantha Trackers: The Phantom Menace first trailer: It was twenty years ago today…. 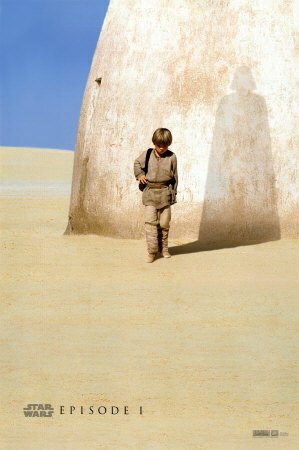 Two decades have passed since the first trailer for Star Wars Episode I: The Phantom Menace arrived in 75 cinemas across the US and Canada. On the 17th November, attached to The Waterboy, Meet Joe Black and The Siege, the world seemingly lost their minds as we got our very first look at many of the characters and locations that would be coming to cinemas on 19th May 1999. Online, the video broke all pre-YouTube records, quickly hitting 10 million downloads via QuickTime (remember that? ), hitting 35 million downloads by 1999. Arguably the greatest trailer of all time, our appetites had been whetted by the Special Editions and the promise of stories new but this was next level stuff. Here’s how the Fantha Tracks team remember the time, seeing the arrival of the long-promised prequel trilogy after a 16 year cinematic break. Ticket sales rose by over 1000% as people PAID to see Meet Joe Black. Granted, most left before the movie started, and as well they should as they came to see 88 seconds of greatness. It came 15 years and 176 days after the release of Return of the Jedi, the last wholly original motion picture set in the galaxy far far away, and it took that long to load on your PC. AOL dial up broadband, running Netscape Browser on Windows 95. Using the QuickTime Player, but only if you had the correct codacs installed. I had left my university flat, and sneaked into the computer lab of the Hilton campus of RGU, technically a nursing campus but now home to a geeking out accountancy student. 88 seconds felt like 2, it whirled past so fast. Unlikely the buffering loading of the trailer. It was perfection, it was Star Wars at its very best, it was film at it’s very best. No trailer has come close to matching the thrill, and excitement that TPM teaser did at that time. Reaction was overwhelming positive. 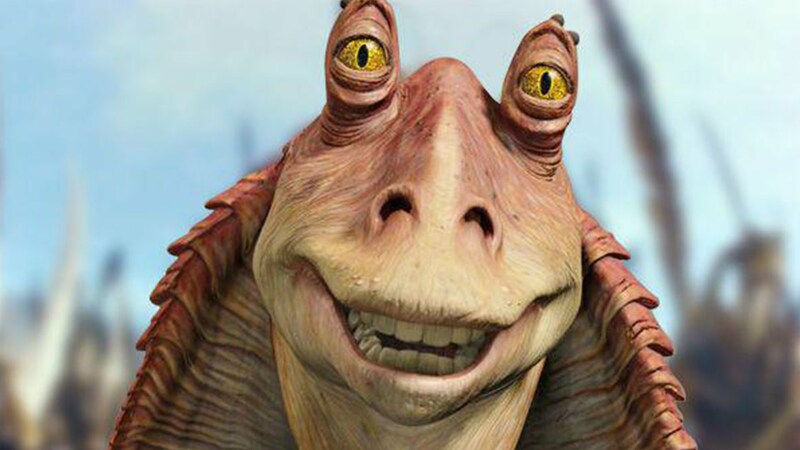 People even loved Jar Jar. George Lucas even followed up its release with a statement thanking fans for their appreciation. Perhaps the last time there was that level respect between George and the fandom, as sad that is. I can’t quite believe it was 20 years ago today, and to be honest I can’t quite believe where Star Wars has evolved to in that time. Without a doubt that 88 seconds of awesome showed what Star Wars can be, though perhaps we still have some work to do before we recapture that spirit and love again. I remember GMTV saying the new Star Wars trailer was going to be on the show that morning and being prepped with a video in the VHS recorder, ready to go. There was no way that new Star Wars was going to be there and gone! I had to rewatch it over and over to get as much information as I could from that short trailer. That 88 seconds reignited a love in me that had never really gone away and the short glimpses of new characters had me excited about the future of Star Wars, who knew where things would be 20 years later. 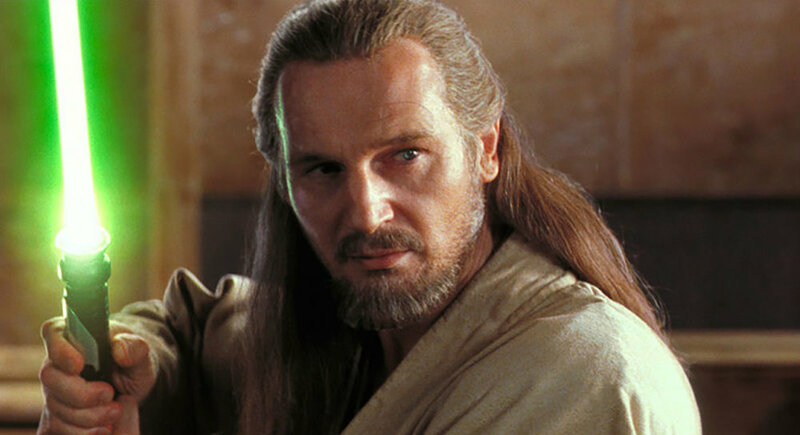 I still love watching The Phantom Menace and I hope it gets good coverage at next years Celebration taking the 20th anniversary into account. My hubby and I downloaded the trailer as soon as it was available. That sure was a slow process! When it finally came down and we saw it, we immediately had to show it to my Dad, who commented that he was happy to see we were going back to Tatooine! I remember seeing the trailer and thinking, “My God, Star Wars is back and with a new movie.” Yes, I embarked on the hype from the beginning, until I saw the premiere in theaters. Some things disappointed me in the movie, but there are several elements that fascinated me and make me like the movie to the point of seeing it again and again. Who would have thought that after that we would have much more Star Wars than we imagined? One of the many great things about being an active Star Wars fan is that when you look back there’s a list – a long, ever-growing list – of amazing and memorable moments. 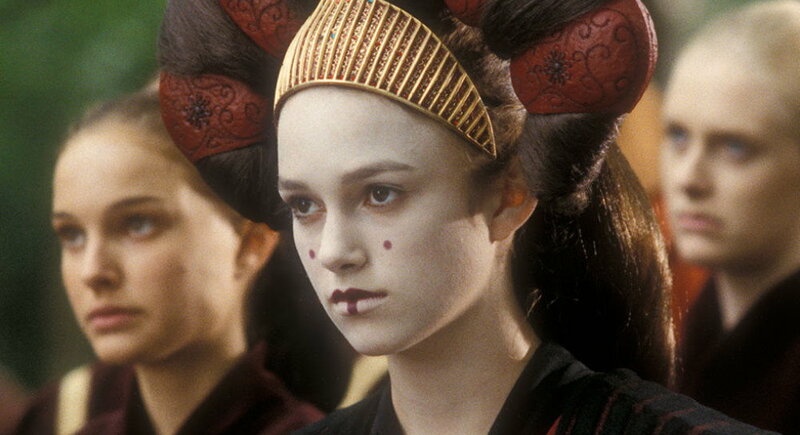 Very high on my personal list is the arrival of the first trailer for The Phantom Menace. By late 1998 Dark Horse and Del Rey were on a roll with their comic and book releases. The Galaxy Magazine from Topps was riding high and Steve Sansweet was the king of all Star Wars media. We’d had Shadows of the Empire in 1996, the Special Editions in early 1997, the launch of StarWars.com the same year which of course gave us even more juicy information as we crept up to 1999. The internet was a very different place to traverse back then. No social media as we know it today. AOL, dial-up, modems that sounded like a wacky racers car breaking down, stuttering streaming and video players with awkward codecs that failed whenever it suited them. Compared to today it was the wild, wild west. I’d recently got my first computer in 1998, despite having written content for my self-published Fanta War magazine in 1993 and first website The Q-Continuum in 1994. Back then fanfic was our game, so we (myself, our resident Fantha Tracks RPG Editor Jonathan Hicks, Paul Squire and Louis Turfrey) were furiously writing stories set in the Setnin sector on our site, Wirezone. In 1998 I’d written my first novel length story, Jan Lomona and the Sirens of Amagad. Star Wars life was good, and it was about to get a whole lot better. Here’s how StarWars.com announced the title of Episode I back on 25th September 1998. September 25, 1998 — One of the most common questions fans have been asking is, “What is the title of the new Star Wars movie?” We’re happy to report that George Lucas has decided to name the new movie “Star Wars: Episode I — The Phantom Menace.” As announced earlier, the new movie will appear in theaters in the United States and Canada on May 21st, 1999. We had a title, and the official site was drip-feeding us casting news, but now we could actually see footage from the first brand new Star Wars film in 16 years. We’d geeked out at the new footage in the Special Editions, and seen Coruscant for the first time at the end of the Return of the Jedi special edition, but this was something else entirely. 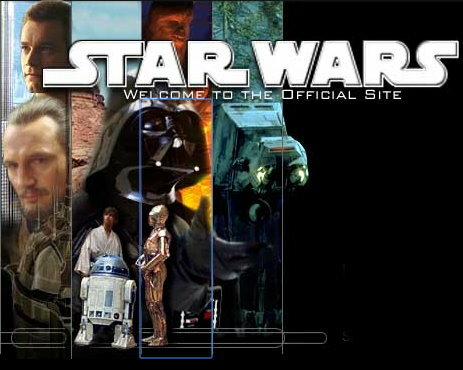 I logged on to my trusty PC, went to the page on StarWars.com (which criminally you can no longer access, so thank goodness for the Wayback Machine) and waited….it was sloooow back in those days, and the screen was tiny, but once you had it you could click thorugh frame by frame and boy, did we. Analysing and soaking up every shot, taking it all in. The Official Site posted this information about the trailer. Think what you like of the final film – and I strongly believe it’s a film that continues to unfold and reveal as the years go by, getting better with each passing day – but that trailer was monumentally important in a number of ways. It started an avalanch of excitement that in all honesty probably hurt the film. What could possibly hope to match up to the expectation and hype this first trailer had generated? Pitched against the original trilogy – arguably what remains the most beloved trilogy in movie history – and 16 years of hopeful expectation, Phantom was doomed to be perceived as a failure ($983.6 million at the worldwide box office, at the time second only to Titanic – some failure) and the 3 year gap between episodes saw expectations dip for Episode II. I was fortunate enough to travel to California for a 2 week holiday in May of 1999, and saw it in Las Vegas, where I would return three years later to see Attack of the Clones and later Revenge of the Sith. 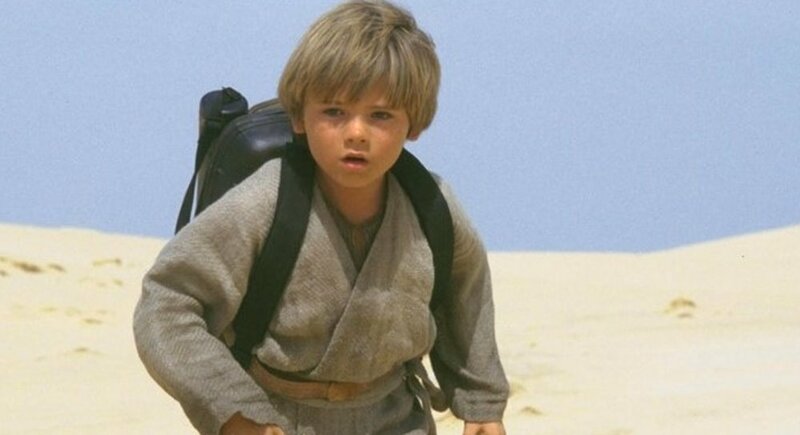 The Phantom Menace was far from an instant hit with me (the frist time I saw it I left the cinema shell-shocked, turned to my travelling companion Paul Squire “What the &%$£ was that?”) but by the time we travelled home 5 viewings later the film had me under its spell. Twenty years later it still does. I remember eagerly waiting. I got Realplayer to load the trailer and went to the cinema when the tickets went on sale. I brought 10 tickets over the opening weekend. The hype was real. I loved the build up and really enjoyed the film. So fresh, and I enjoy it to this day. It was the dawn of a new era that we never thought would come. What? 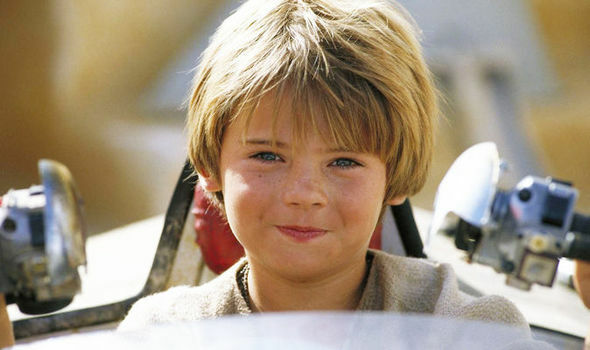 The Phantom Menace trailer is twenty years old? That was twenty years ago? Twenty?!?!? I can still vividly recall all the hype around the 20th anniversary of the original Star Wars, what with its Special Edition, tweaked sequels, Tazos and all. Mostly the Tazos though. Just 18 months later, a group of my buddies and I huddled around a 14 inch monitor in my spare room, waiting for what felt like an eternity as the RealPlayer software prepared to transport us to the first glimpse of an all-new movie – the beginning of a new trilogy. The beginning of the beginning. For us Star Wars fans in the room that day it wasn’t just an event – it was a religious experience. It was as if we had all found snippets to the Star Wars equivalent of the Old Testament. Of course, the first viewing flew by in a blur of lightsabres, glimpses of new and old characters. There may have been no context to that minute and a half trailer, but it felt special. 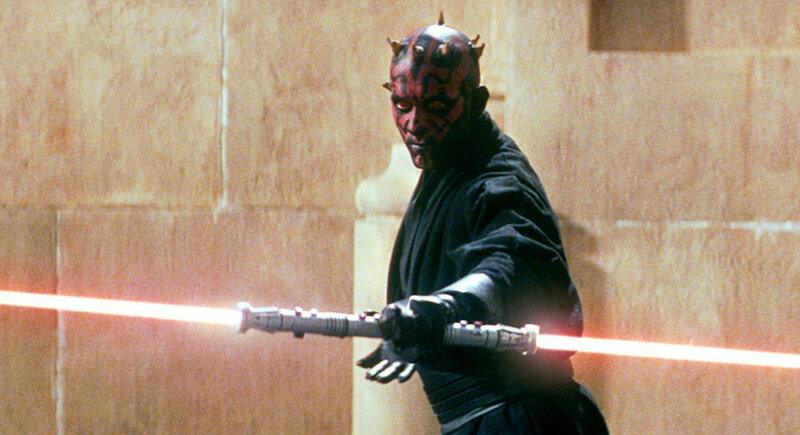 Who was the red and black faced dude with the double-ended lightsabre? Where were C-3PO’s coverings? Why did Yoda look so wrong? By the time May 1999 arrived, hype had gone into, well, hyperdrive. I saw The Phantom Menace on its opening night of general release in the UK. Me and my little brother had grown up together on Star Wars. By the time we saw TPM I was 28 and Martyn 25. As the lights dimmed and the 20th Century Fanfare faded, that familiar yellow lettering filled the screen – Star Wars. And then for the first time in 16 years a new scroll crawled slowly and purposefully into infinity – Episode I The Phantom Menace. It was a magical feeling, sharing a new chapter with my brother. In an instant I was 7 again and my brother was 4. Wonderful memories. Next time you ‘re trying to watch a trailer and it starts to buffer and load the next bit, spare a thought for those of us who can remember the days before broadband and had to even install special software to view the Episode 1 trailer. Having seen the awesome poster tease, where Anakin’s shadow is cast as a Vader-esque shape, I eagerly awaited the trailer release and set about trying to watch it when it launched. The sense of anticipation was immense, and although I managed to watch it a couple of times, I eventually bought a CD-R copy from a convention a few weeks later. It did its job excellently, starting with establishing shots of a seemingly peaceful Naboo, before kicking in with the familiar fanfare and showing us elements of the podrace and space battle above Naboo , before showing us some of the characters old and new, whilst the plot thread was explained courtesy of Qui-Gon, Mace Windu, Shmi Skywalker and of course Yoda’s ‘fear leads to anger….’ dialogue. 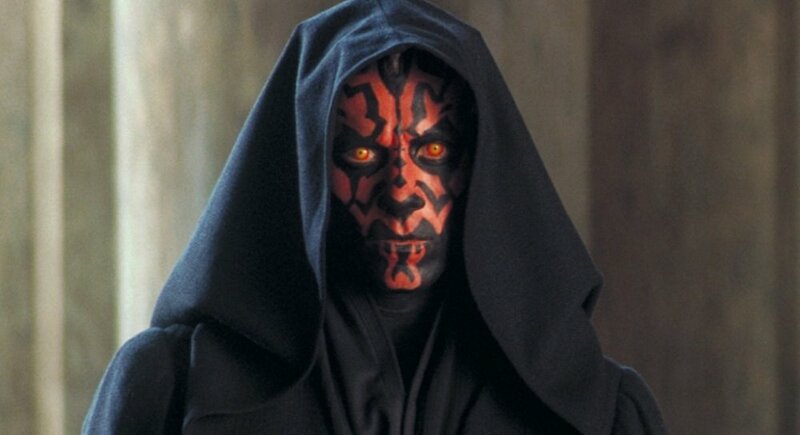 And we got the ultimate tease in terms of a new bad guy – Darth Maul. Safe to say if we have been able to post reactions to facebook, twitter and the like it would have been smiley emojis all the way! 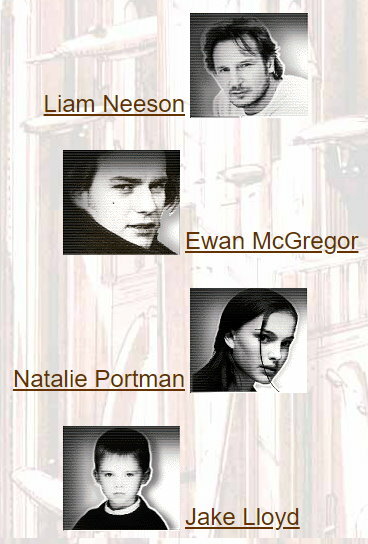 I was a very new fan when I found out about The Phantom Menace. I remember seeing that first trailer and those first images immediately had me captivated. I knew I was going to love that movie. And I truly did! 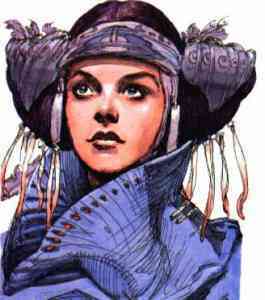 That really sparked my love for Star Wars to a higher degree. Millennials will never understand what access to this trailer meant. In an age of global releases and superfast broadband it was an event which cannot be repeated, not even The Force Awakens trailer could touch it. I vividly recall attempting to download this on my old 33kbps modem (at 1p per minute!) and for the website to be crashing through intense overload. Streaming was impossible and although it was due to be on TV, I was in full time education and OnDemand didn’t exist back then. My solution was to download it at University into my personal storage area and stick it on a USB drive to bring home. Sorted. Except there were no USB drives. There was no USB! So, the next job was to download a program called Axesplitter (from memory) which chopped the video file into 1MB sizes so that they could fit on a floppy disk. Why on earth would the University allow students to run software is beyond me. I then had to take the many floppy disks home and reassemble the file using the program at the other end. A grainy trailer, on a cheap 486 PC boasting a mighty 8MB of RAM, a 32k sound card and a cheap video card – I was as happy as a bird nesting in Matt Booker’s beard. I must have watched that trailer 20 times (I went to a lot of effort for it!) and the wait started…. Over in the UK we got The Phantom Menace a LONG time after its US release and I remember going to visit relatives who were watching it on the worst cam recorded copy on an old VHS tape. I had to walk out! I do remember seeing the video for Duel of the Fates on MTV so I gave in and watched it every time it appeared. I was dismayed at the reaction on Jedinet (The Datapad) but went into the cinema during opening weekend and was blown away. Star Wars was back.